Over the last few years while working with Massachusetts sellers looking to short sale their home I have encountered on a couple occasions folks that were deliberately lied to and told that a short sale was not possible. 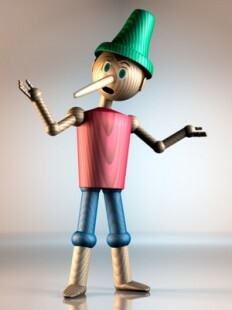 Fortunately these particular home sellers were savvy enough to realize their short sale lender was lying to them. They had done a little research online and knew that losing their job was a legitimate short sale hardship and the fact that their home was under water made them perfect candidates. They just happened to be speaking with someone in the collections department and not the loss mitigation department. What home owners need to be completely aware of is who they are speaking with at the lending institution. The department that you reach will have a huge impact on what information you are relying on! It should be crystal clear that lenders have three separate departments that handle borrowers who are in default with their loan. There is the loss mitigation department, the foreclosure department and the debt collections department. The loss mitigation department is who you should be speaking with any questions related to short selling a home. When you miss mortgage payments on your loan you may get a call from the collections department asking you to get current again. Make no mistake about it some of these people on the phone are ruthless and will say anything to you in order to get you to send them money. You may even ask them about short selling your Massachusetts home and they will say you can’t. They don’t care because their goal is to get more money out of you. If you are considering a short sale you DO NOT want to be speaking with anyone from this department! What is sad is that there are probably lots of folks who have been told the same thing and just relied on the statement as being fact. Some of these poor sellers, having been told that a short sale is not possible, just let the bank take their home via a foreclosure. Recently I met a seller who was attempting to do a loan modification and was told that in order to get the loan modification they would have to come up with the amount they were in default. The amount was over $18,000 which they came up with by depleting their savings including retirement funds! Well guess what the lender after receiving the funds denied the loan mod. This unlucky home owner happened to be speaking with the collections department who duped them into giving them the funds. The lender receiving these funds should not have played any part what so ever in the owner getting approved for a loan modification. They are now either left to short sale their home or face foreclosure. They wanted to stay in their home and were hoping the bank would restructure their loan in order to make that a possibility. The take home message here is never to rely on anything your lender tells you. On many occasions the person you will be speaking with is nothing more than a glorified clerk. If you have ever called a lender you probably realize you never speak to the same person twice. If you have run into financial difficulty and need to short sale your home talk with either a Real Estate attorney or a Realtor who has experience with short sale transactions. Who you work with will have the greatest impact in helping your reach your financial goals. Completing a short sale remains a much better alternative than letting a property go to foreclosure for a number of reasons centered around credit and your ability to buy another property in the future. I am successfully completing short sales through out the Metrowest Massachusetts area as well as parts of Worcester County. As of this writing in almost four years, knock on wood, I have a 100% success rate for short sale approval! I work hand in hand with a local short sale Real Estate attorney who knows how to get short sales done! About the author: The above Real Estate information on short sale lenders lying to mortgage holders was provided by Bill Gassett, a Nationally recognized leader in his field. Bill can be reached via email at billgassett@remaxexec.com or by phone at 508-435-5356. Bill has helped people move in and out of many Metrowest towns for the last 24+ Years. Great post … and more importantly, great advice! The Loss Mitigation Dept. is where lenders and servicers do make the business decisions re: short sales. I’d also add that working with your lender or servicer to find a solution is a far better approach, than ignoring the problem and letting the foreclosure run its course. If a modification isn’t going to work, a short sale or deed in lieu of foreclosure will have less impact on your credit score and enable you to obtain another mortgage loan in 24 months or less. Still, you could encounter a servicer’s response to your short sale request that doesn’t make sense. This can often be the case when the servicer and the lender, or owner of the loan, are not one in the same. If you’re not getting a response that makes sense and you’re following Bill’s direction, then be sure to escalate your request higher up the chain of command. Selling Short sales is no easy task. Your record is amazing. 100%. you must be very picky about the listings you take. Paul & Dale – Thanks for your comments on my short sale article about speaking to the right department when you are going through a short sale or loan modification for that matter. It is critical that a home owner speaks with the loss mitigation department. Thanks for sharing Bill. There is a lot of misinformation out there and whether or not you are working with an experienced real estate agent and attorney (who specializes in Short Sales, not dabbles) can make or break a short sale transaction. I’d also suggest that the sellers consult with an experienced mortgage professional during the process. They can provide them with valuable information about the effects on their credit, tips for rebounding after the short sale and how and when they can buy again in the future. Right on the money as always Bill! The other thing folks need to be aware of is that, depending on the servicer, if you are behind in your payments once you punch in your loan number you may get bounced to the collections department no matter what number you initially call. So, always ask point blank, “what department am I speaking to?” If it’s collections ask to be transferred to the Loss Mitigation Department. If the person gives you a hard time, hang up and try again. The fact that homeowners cannot depend on their Mortgage Servicer to tell them the truth is really a travesty. I have clients who were very close to foreclosure when they were referred to me as they had, unfortunately, wasted a lot of time trying to sell their house for much more than this market will bear so that they could pay off their loan in full. They were desperate because when they finally asked their Servicer about a short sale they were told they had to have a contract in order for the foreclosure to be postponed and there was not much time left. They have an FHA loan. FHA has long had a program called the Preforeclosure Sales Option which allows for the Pre-approval of the Short Sale and stops all foreclosure activity for a prescribed amount of time to allow for the marketing of the property. Their Servicer did not tell them about this program. In fact, I had to go head to head with them and ultimately get HUD involved to get them to admit the program existed. If they had not been referred to me, or another agent that really knows short sales, they would have lost their house to foreclosure. What a great post!!! I hope you don’t mind my reposting it with your name and permission on my blog site as you said it quite succinctly! I tell clients all the time to call the right department, and if the other person on the end of the phone sounds as though they are judge, jury and executioner,,,time for a bad connection (keep paper to crunch in the background) and call back and get someone who appears compassionate, I say this so the phone servicer can’t note the file in a negative manner for the next call or department. I had one negotiator tell me that because I didn’t know how much my client had in the bank, I shouldn’t be authorized to speak for my client, that I should know every iota of what they had etc. so crunched paper hung up and spoke with someone else, after realizing I was connected to the wrong department, and reached the right person and achieved the desired results! Again, wonderful post and I wish that this could be in a venue for more distressed folks to read! Good point about your results depending on which department you speak to. This is good advice in lots of areas. For example, if you want to lower your cable bill, it’s best to speak with the cancellation department rather than the billing department. As far as short sales, it’s always good to get advice from more than one person (especially when your lender has an interest in your decisions). Knowledge is definitely power here. I have referred two people to my short sale specialist that had the same situation – pay up or lose the home. One actually paid and they still posted a foreclosure notice two months later. One would think they could just put the balance on the back end of the loan to make a non-performing note into a performing note. Nothing has made sense around here for a while! Bill, This is such good advice. The truth is that each of these departments make it difficult to connect with the other one. The fact that information is not shared in that system is appalling. Caveat Emptor has never been truer with working with banks these days.